After much buzz going around the web - especially around the local Korean enthusiast community, the newest and hippest place for delicious Korean foods has officially opened last Monday, June 3rd at The Fort strip, Bonifacio Global City, Taguig. KPUB BBQ Meat all you can is the newest Korean concept restaurant in BGC serving unlimited Korean barbecues and other Korean foods. 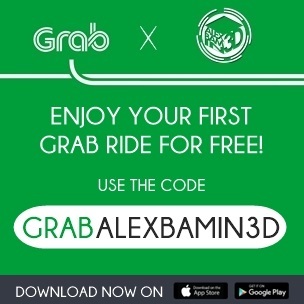 Alexbamin3D was luckily invited to witness the blessing and official opening of KPUB last June 3rd, and I got to say, I was really impressed on how the whole strip looks like. 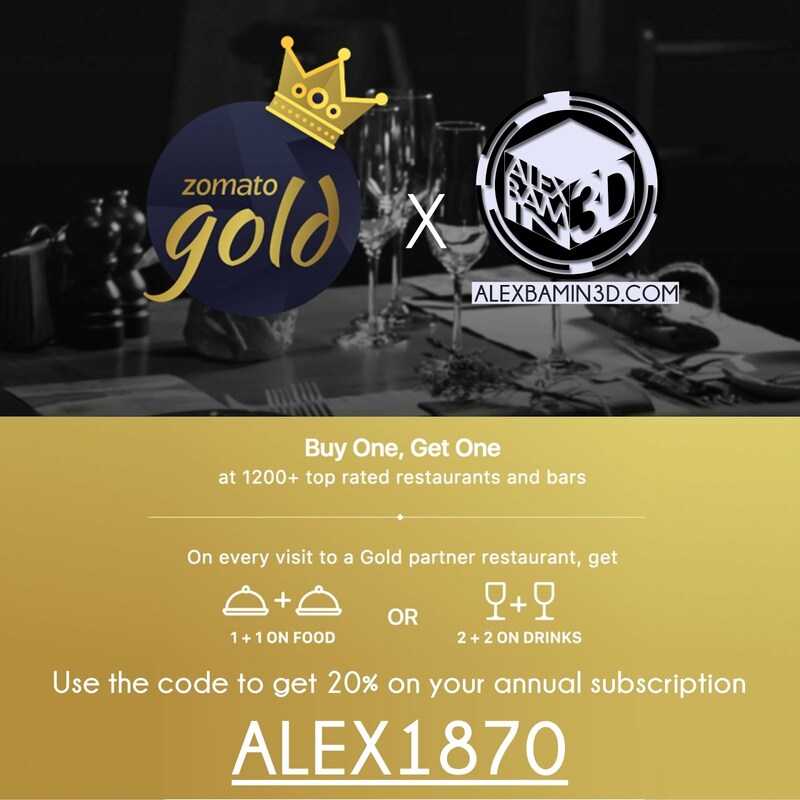 Aside from KPUB, three other establishments open that day at The Fort Strip -- Modern Sichuan, Tony Roma's, and Yummy Soy, all of which are under the same management of KPUB. With its enticing facade, KPUB offers unlimited Korean BBQ meals daily and transforms into a hip Korean style resto-bar in the evening. A wide array of delicious Korean BBQ meats are available for you to enjoy cooking on your own smokeless grill on your table. Interiors are also impressive, the place is huge! It actually holds the title now of being the biggest Korean BBQ place in the country with it's 420 seat capacity, and 2 levels of dining areas, great for barkadas and families. Each table will also be provided with tablet computers in the future which they can use to chat people on other tables. Once you enter KPUB, you'll definitely notice the massive 8 meter x 3.5 meter LED video wall that plays Korean Dramas on a per day episode, KPOP concerts and music videos. A stage is also set up below the screen for events and performances. You'll also notice how to staff are all dressed up ala-KPOP, we were actually kidding that they might suddenly break into a choreographed KPOP cover dance. We love their flashy outfits so much! They also have some Korean staff also dressed-up KPOP style. KPUB also houses the first Heineken Bar in the Philippines, located at the second level of the building. You can finally enjoy these plus all the delicious Korean foods daily. They have different business hours throughout the week so make sure to take note of it. If you notice, there's no review about the food on this post, that is because I'll be coming back in a few weeks to try their food.  Make sure to check www.alexbamin3D.com regularly for KPUB's food feature and review to be posted really soon! 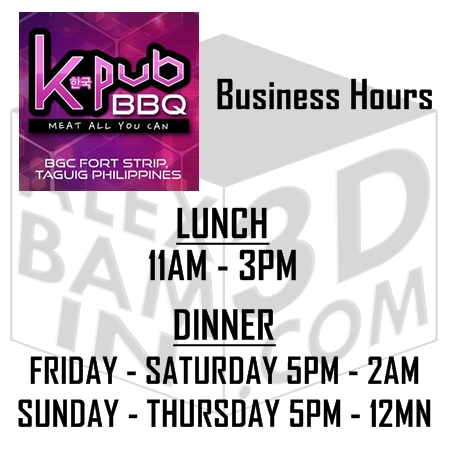 KPUB BBQ is located at 5th Avenue, The Fort Strip, Bonifacio Global City, Taguig. Make sure to Like KPUB's Facebook Page for event and promo updates!